What does the Central Library closure mean for you? 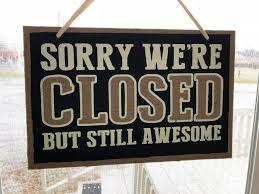 Children's events and programmes: These have all been cancelled until further notice. This includes Baby Rock & Rhyme, Preschool Storytime, school class visits to the library, and school holiday activities for April. Branch libraries are not affected, and you are welcome to go there instead. If you have library materials borrowed: All items borrowed from the Central Library have had their due date extended to 1 May, so enjoy holding them on to them for a bit longer. If you would like to borrow library items: Good news! Our eLibrary is up and running, and you can use your library card at any of the 11 other libraries in Wellington City. In our eLibrary we have thousands of eBooks, magazines, comics and eAudiobooks that you can download for free. There are also heaps of other cool things on our website for you to see and do. How to stay up to date: Keep an eye on the latest news and updates on our website, blogs, Facebook, or Twitter. At Let's Go Lego, your creative skills will be put to the test as you use our Lego collections to design and build your masterpieces. Each session will have a different theme that will inspire you to hone your skills and become a Lego Legend. Bookings not required. Suitable for children aged 5+ with their caregiver. Join experts from Victoria University to learn about the amazing geology of our city "rock formations, fault lines, earthquakes and more. Come along prepared to do some hands-on science as well! Suitable for children aged 5+ with their caregivers. Bring a blanket and pillow, and relax at our fun family movies. A different G rated movie from the library collection will be showing each time, and are suitable for the whole family. Recommended for children aged 4+ with their caregivers. Paint up some special rocks to hide around the suburb for Easter. We have the rocks, the paint, the brushes and more, just bring yourself and your imagination! Suitable for children aged 4+ with their caregivers. Let out your inner artist as we use recyclable material to create inspiring artworks from scratch! Join in to make a huge collaborative sculpture, or make your own piece to take home. Suitable for children aged 4+ with their caregivers. Virtual reality (VR) offers us a new and exciting way to learn about science and the world around us. Explore the wonders of our planet's most extreme locations from the comfort of your local library. Numbers are limited, bookings required. Reserve your seats by contacting the event library. Suitable for ages 6+. To celebrate the 2019 Children and Young Adult Book Awards, Hell Pizza are offering you a free pizza for every 7 books you borrow and read from your library. Pick up a Pizza Wheel next time you visit, and make sure you get it stamped and signed for every book (or other reading material) you borrow. Completed wheels can be taken to any Hell Pizza store and exchanged for a 333 pizza from the 'HELLthy' menu range. There's no limit to how many Pizza Wheels you can complete; we will keep handing them out until we run out. Pizza Wheels can be used at school libraries too (check with your school librarian just to make sure). The pizza wheels expire on 3rd December 2019, so make sure you complete and redeem them before then. Children in school years 1 - 10 can participate in the Hell Pizza Reading Challenge. Code Club is a free coding club for 9-13 year olds run during term time. Children will work their way through a range of fun coding projects supported by coding experts. Code Club is BYOD - please bring a laptop or netbook with Chrome installed. Each library has a limited supply of netbooks for those who cannot bring their own from time to time. Please note the Newtown Code Club is not BYOD; the library can provide you with a netbook to use. Places are limited, bookings are essential. Registrations are only for one whole school term at a time. For more information, please contact the club leader at the code club library. Come in your pyjamas, bring a cushion and a blanket, and relax at our fun family movie nights. A different movie selected from our library collections is screened every month, check out the Kids' Blog or contact the library to find out what's playing. Movie nights are free and bookings are not required. Movies chosen have a G rating, and are suitable for families with young children. Creativity. Problem solving. Storytelling. Fun! Put your creative skills to the test to design and build your masterpieces. Each session will have a different theme and building challenges. Recommended for children aged 5+ years. 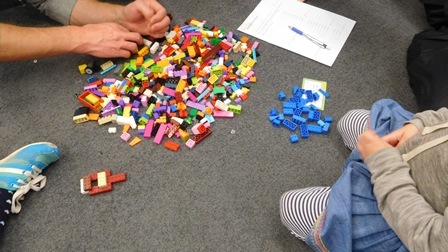 Let's Go Lego runs weekly during term time. All Lego is supplied. Cummings Park (Ngaio) Library: Second Thursday of each month, 3:30-4:30pm. Karori Library: Third Saturday of each month, 2.00-3.00pm. Mervyn Kemp (Tawa) Library: Second Thursday of each month, 3.30-4.30pm. For further information email WCL enquiries or check out the library event calendar for dates. CRAFTerschool at Miramar, Tawa and Johnsonville Libraries is a free art and craft session for school-aged children. Come along and get stuck into activities such as drawing, beading, origami, mask making, and more. Make friends with other crafty kids! Places are limited. Contact each library to enquire whether space is available on the day you want to attend. Head over to our Kids Online Book Club and fill in the review form to tell us about a great (or not so great) book you've read recently and you can win prizes. You'll receive a prize after your first 2 reviews and then every 5th review after that. So what are you waiting for? To get the prizes you must have your own library card. There are spot prizes for really excellent and thoughtful reviews too! All reviews will be published on the Kids Blog. You can read the reviews to find out what other kids are reading and even write comments on other's reviews. Don't worry if your review doesn't show up straight away - sometimes it can take a day or two to appear. Pre-school storytimes are interactive sessions with stories, songs and rhymes. They are fun and free at all Wellington City Libraries for children, parents and carers to share. Recommended for children aged 2 - 4, but younger children are always welcome. One storytime a month at Johnsonville, Miramar and Karori Libraries are Kōhunga Kōrero sessions - a storytime in te reo Māori. 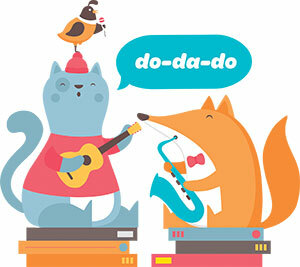 One storytime a month at Karori Library will be a Mandarin Storytime. All welcome at these sessions. 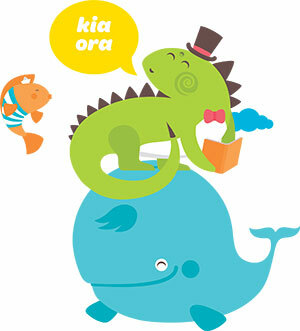 See the Kōhunga Kōrero and Chinese Language Storytime information on this page for schedule details. Monthly storytimes in te reo Māori are available at Miramar, Newtown, Johnsonville and Karori libraries. Open to anyone, these free 30min sessions feature stories, rhymes and waita in te reo Māori, and are perfect for 2-6 year olds and their caregivers. E 30 meneti pakiwaitara, rotarota, waiata hoki i roto i te reo Māori mō ngā kōhungahunga me ō rātou mātua kaitiaki. 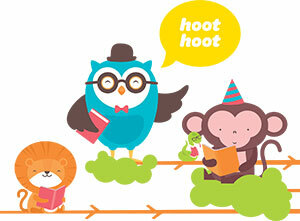 Monthly Mandarin storytimes for children and their caregivers full of fun stories, songs, rhymes and interaction. Suitable for native speakers or learners, these free storytimes run for 30mins and are suitable for preschool and young primary school aged children. The Karori Chinese Storytime is presented in partnership with Cicada Creative Space. Please Note: The Karori Library Chinese Storytimes will replace the English language storytime on that day. Preview some of the songs and rhymes featured in our sessions by listening to the Baby Rock & Rhyme album - recorded and produced by our very own talented librarians! Check out the Kids Blog regularly for more entertaining events for kids and caregivers!